Hey there! 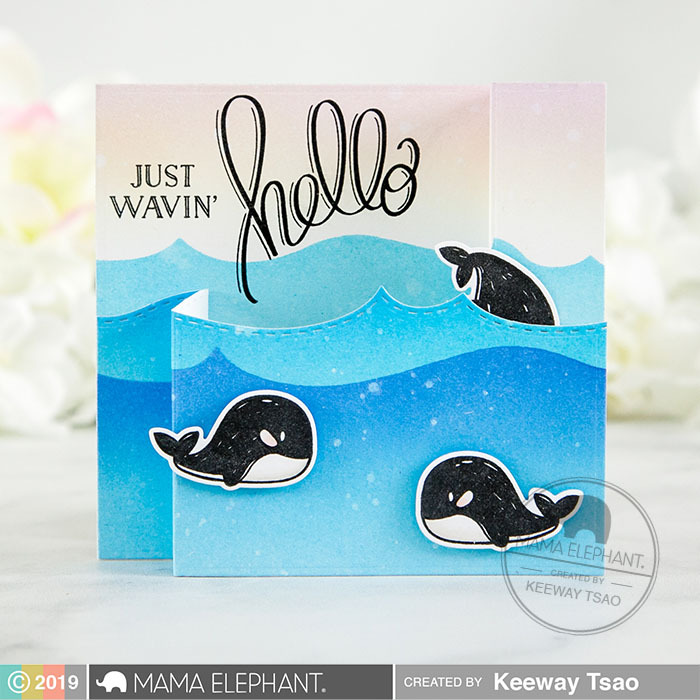 It's Keeway on the blog today! I have seen some really incredible and well made interactive cards by many of you, and although I admire them, I have always been intimidated to at engineering one of them. 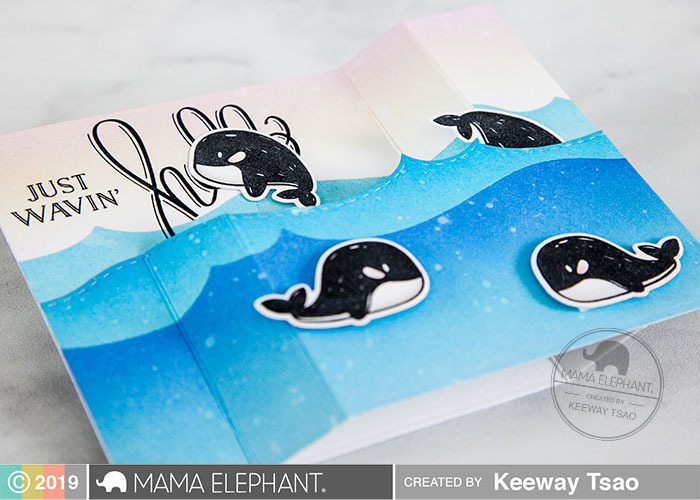 But, the Wiper Surprise made it all so easy for me, and I'm excited share what I did with it! 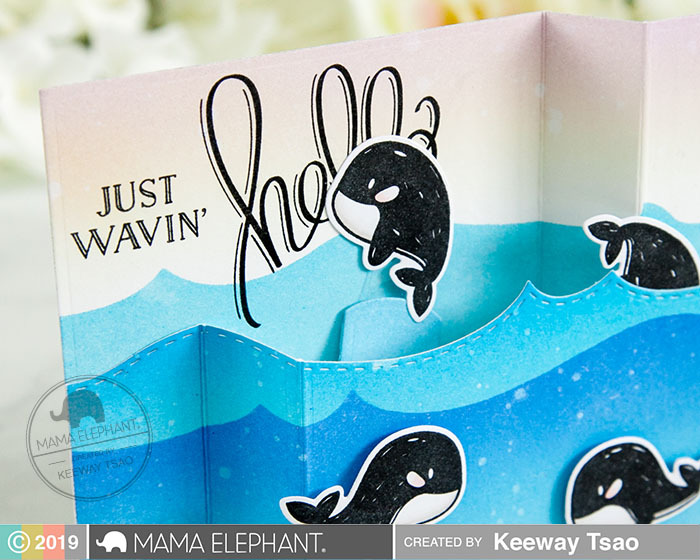 I brought out the Whale Wishes set to create a scene with the Wiper Surprise dies. 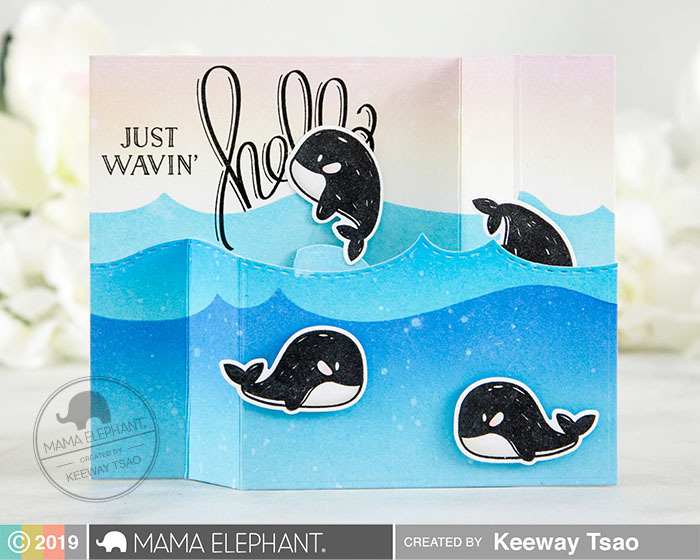 I thought these whales were perfect to pop out of the waves with. So, I started off by creating two ink blended panels by using stencils that I created with Ocean Waves Trio CC. I like to create my own stencils with dies I already own by die cutting the pattern onto Grafix Stencil Film (the blue sheets in the center). Then, I die cut the interactive piece and ink blended the same color as my waves so that it won't be so visible. 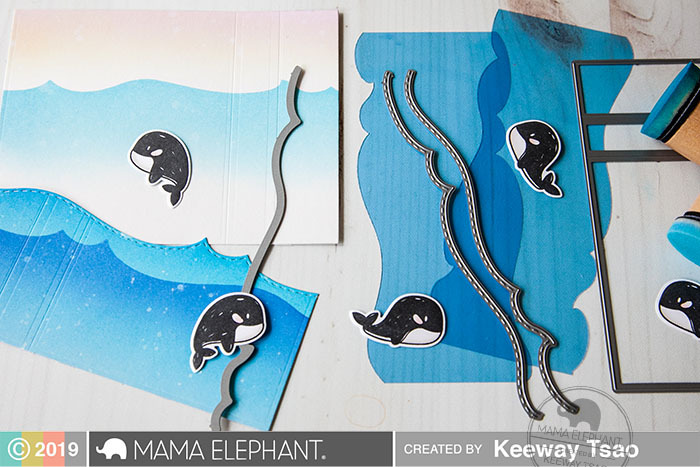 I stamped and die cut several of the whales from Whale Wishes, and picked the whale jumping out of the water to be on the interactive piece. I used acetate to further give it an extra lift! So very cute, the idea was brillant. Great card.